With a murder unsolved and a betrayal exposed, the truth is suspect in 12 stunning Season Two episodes of the Golden Globe winning drama. Shifting between the perspectives of Noah (Dominic West), Alison (Ruth Wilson), Helen (Maura Tierney) and Cole (Joshua Jackson), the story now reveals the complex family ties, passionate betrayals and vengeful emotions that have resulted from the illicit summer liaison. And as the two estranged couple..
Own The Affair Season 3 DVD from Deff, DVD, Blu-Ray & 4K Video Specialists - Free UK Delivery.. 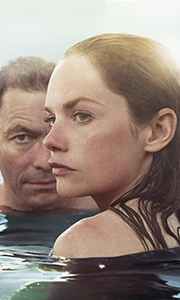 Winner of the Golden Globe for Best Television Series - Drama and Best Actress in a Television Series - Drama (Ruth Wilson), The Affair is a provocative and suspenseful look at how many stories are involved in every love affair. Noah Solloway (Dominic West) is a New York City schoolteacher and happily married father who finds himself powerfully attracted to waitress Alison Lockhart (Wilson) while vacationing with his family on Long Isla..
Own The Affair Season 4 DVD from Deff, DVD, Blu-Ray & 4K Video Specialists - Free UK Delivery..
Own The Affair Seasons 1 to 2 DVD from Deff, DVD, Blu-Ray & 4K Video Specialists - Free UK Delivery..
Own The Affair Seasons 1 to 3 Complete Collection DVD from Deff, DVD, Blu-Ray & 4K Video Specialists - Free UK Delivery..